Usually people decisions are based on traditional business thinking, poor business performance or limited insights in the true added value of HR to the business. Making the right people decisions is one of the most fundamental and relevant leadership topics, because people decisions have a great impact on your bottom line. With our proprietary MetrixAnalytics Method® we can prove the impact of people decisions on business performance. We also provide deeper insights into human capital risks, comprehensive recommendations for operational costs reduction and tailor-made actions to improve the performance of employees, teams and profit centers. In short we make people decisions more business relevant. Our MetrixAnalytics Method® connects HR to Business performance by merging Business Analytics and People Analytics. The development of the MetrixAnalytics Method® is based on more than 15 years Business analytics and People analytics experience working across a range of industries and in a number of market segments in both private and public sectors. Connect HR to business performance and prove the impact of people decisions on financial results. Create stronger criteria for recruitment, selection & development. Improve lifecycle management and retain best performers. Increase the potential of your data with internal and external, structured and / or unstructured data. Discover valuable patterns in your data and apply the insights in your processes. Increase the quality of your decisions by basing them on facts. You have data, but you find it difficult to estimate the value of your data? You want to enrich your data and have the best visualization? There is value in your data, but how do you start to show this? The number of providers of analytics tools has increased enormously in recent years. But what is the best solution for your organization? Your organization is already working data-driven. But are you on the right track and what is the right path to achive your goals? You want to develop predictive models based on the proof of concept, your clasic model or business case? organization with more structure and more accessible data? 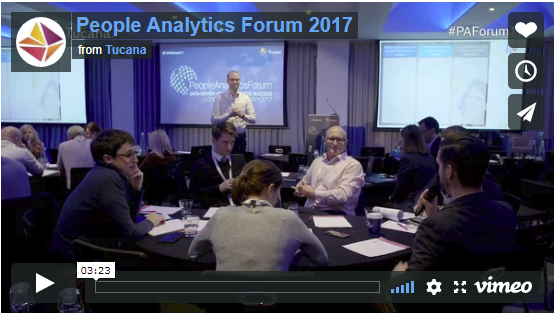 You want to increase awareness or support for Business Analytics or People Analytics in your organization?